The Barlcays Accelerator (Powered by Techstars) is a 10-week intensive program designed to support, grow, and advise emerging fintech startups. As one of the two Design Associates during the program, I helped the 10 fintech startups with all things design related, from their brand identity to the UX of their websites and apps. As most startups in this accelerator raise funds at the end of the program, I also imagined and designed the pitch decks for each company, helping many of them then go on to fundraise. 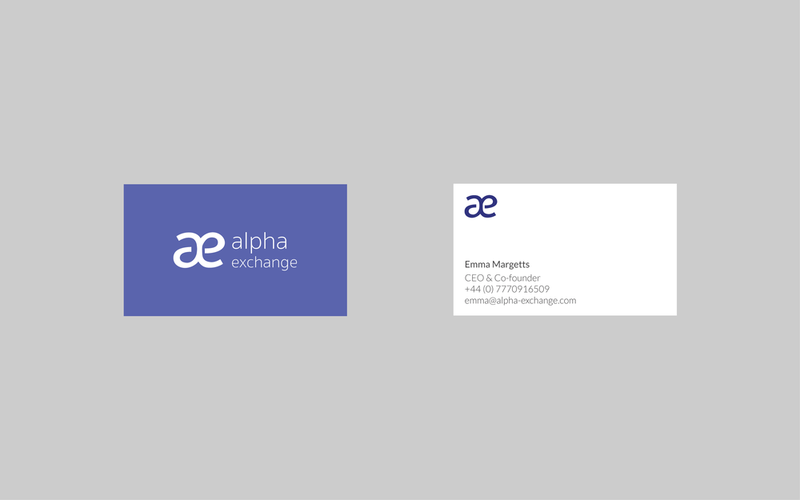 Alpha Exchange is the first open network for the capital markets community, transforming the way institutional participants interact, share knowledge, and discover investment insight. 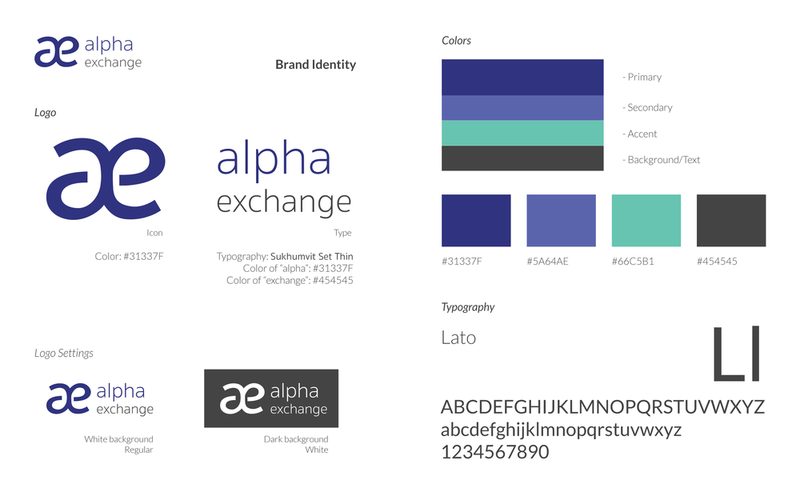 I helped Alpha Exchange refreshed their brand identity and designed their landing page. 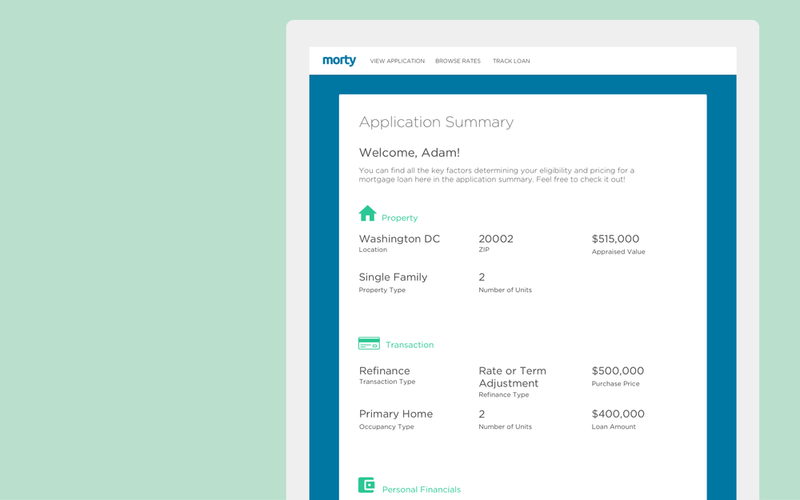 Morty empowers home-buyers to find the right mortgage with a modern, online, and fully-digital experience. I supported Morty’s engineering team by helping them design the more complex sections of their web app. Morty's dashboard after log-in. Designed to show users what their next step is, where they are in the application process, and how Morty is able to help them. The application summary page is simple, clear, and direct, showing the users their key application numbers without any complications. 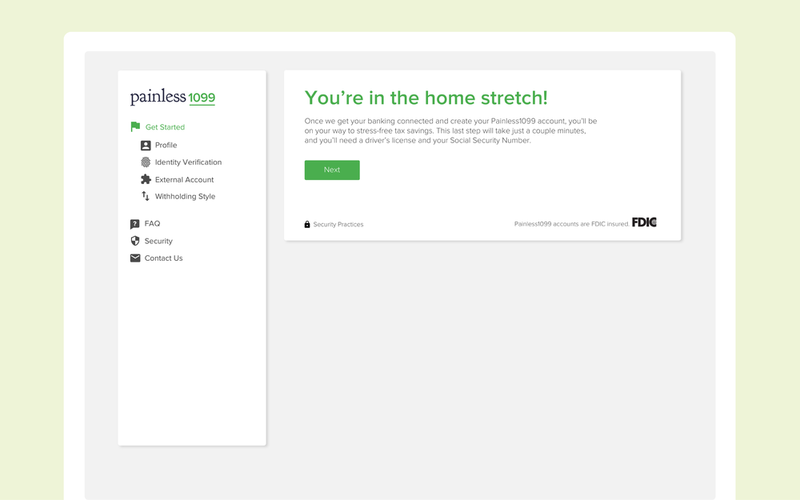 Painless1099 simplifies tax season for independent contractors through a smart bank account that eliminates the guesswork from tax savings. I redesigned the onboarding flow for Painless1099 to allow the users to better understand where they are in the flow and increase clarity. Designing for the 10 different fintech startups at the Barclays Accelerator was a very interesting opportunity, especially since it was one of my first design internships. I got to work with companies at their earliest stage, something I’ve never done before, and really got to understand the thoughts, views, and struggles of each and every founder. Getting to work with founders so closely gave me great insights into the early startup founding process and the daily challenges a founder faces. I also enjoyed getting to work on numerous different design projects throughout the program. It allowed me to fully experience what things are like as one of the first designers on-board a startup, having to do everything from branding to visual designs to product designs. Being a designer in such a fast pace, energetic, yet uncertain environment was truly unique and exciting.